Languedoc-Roussillon (Languedoc-Roussillon Property Guide), that sun-soaked region in the central south of France, is a true golfer's paradise. The climate, which offers one of the highest sunshine rates (around 300 sunshine hours per year) in the country, is perfect for the sport, and makes a refreshing change for British golfers who are used to trailing around in the wind and the rain. The excellent weather experienced in the region also means that golf really can be enjoyed all year round, with many winter days being sunny, warm and dry (Weather in France). Meanwhile the scenery is simply stunning, adding another dimension to the pleasure of this popular hobby. The Languedoc's five departments (Aude, Hérault, Gard, Lozère and Pyrénées-Orientales), all have their own distinct character and attractions. The sunniest and warmest weather, including having the mildest winter, is found in the coastal areas of the Pyrénées-Orientales, Aude, Hérault and the Gard, although good weather tends to be the norm throughout the region. The mountainous, inland areas do tend to be snowy and cold in winter however! What follows is not an exhaustive list of golf courses (impractical as new courses are appearing or being planned frequently), but a selection of courses in each department to suit a diverse range of requirements. Carcassonne (Carcassonne Property Guide), chief city of the Aude (Aude Property Guide), and a deeply popular destination for both holidaymakers and British property seekers, offers an excellent golf course, Golf de Carcassonne (www.golfdecarcassonne.com). Set on the edge of the city, the course has a full eighteen holes and extensive facilities including a pro shop, trolley or buggy and club hire, bar and snacks, changing rooms, practice greens, driving range and putting greens. The course is said to offer a challenging golfing experience, ideal for the more experienced player, with a stunning setting and plenty of interesting features. It is also universally praised for the superb condition of the greens and fairways. Nearby, for those who are not golf obsessed, is the fairytale old walled city, plus the lively city centre with good shopping (French market experiences in Languedoc-Roussillon), dining and the Canal du Midi. Narbonne (Narbonne Property Guide) is another of the Languedoc's best loved cities, and is set on the Mediterranean Coast, offering a chance to explore and enjoy a different aspect of the Aude. The club here is called Le Pitch 'n' Putt Sainte Rose (www.golfsterosenarbonne.com), and although there is not a full golf course there is a very good eighteen-hole pitch and putt course, a driving range, pro shop and a clubhouse. It is really of more interest to holidaymakers and beginners than to serious golfers, but professional lessons are available, and competitions are held regularly. Golfers take note, though, if you swallow your pride and take the family to the club for some fun, perhaps they will begin to understand your addiction better! The attached restaurant, known as The Green Fee, serves delicious lunches. Around the area are endless opportunities to explore and enjoy the Mediterranean beaches and resorts. Narbonne is a lively city, renowned for its shopping and entertainment (Narbonne Plage Property Guide). The Hérault department (Hérault Property Guide) lies to the north-east of the Aude, and incorporates a countryside dominated by vineyards and garrigue as well as a lovely coast with Mediterranean beaches and salt lagoons. Here, golfers have a wide choice of clubs and courses, with at least six eighteen-hole courses in addition to a small but very pretty nine-hole course at the spa town of Lamalou les Bains (Lamalou-les-Bains Property Guide). All of the Hérault's courses are worth a try, and everyone will have his or her own favourite, but among the best are the two mentioned below. Golf de Béziers St Thomas (www.golfy.fr/?-Golf-de-Beziers-St-Thomas-The-golf-), near the historic Cathar city of Béziers (Béziers Property Guide), is an exceptional eighteen-hole course which will appeal to all levels of golfers. Features include water hazards and woodlands, and the whole has a lovely Mediterranean ambience. Facilities include meals, snacks, equipment hire, lessons and a pro shop. Golf de Fontcaude (www.montpellierresort.com/ag/en/golf/index.html), near Montpellier (Montpellier Property Guide), is one that should not be missed by anyone with an abiding love for the sport. Part of a vast estate that includes a hotel, clubhouse and super stylish restaurant (Le Garrigue), this course is nothing short of spectacular. Set in a typically Mediterranean landscape, part of the golf course lies along a river and it also incorporates a dramatic natural ravine among the hazards! Superbly designed and maintained, this fabulous course is often described as one of the best of its type in Europe. In addition to the eighteen-hole course, there is a shorter, nine-hole "executive course". Further facilities offered are a pro shop, equipment sales and hire and a golf academy. Other courses in the department include Golf du Cap d'Agde, Golf de Montpellier Massane (www.massane.com), Golf de la Grande Motte (www.ot-lagrandemotte.fr/golf.php), Golf de Coulondres (www.coulondres.com) and Golf de Lamalou les Bains. The Lozère department (Lozère Property Guide) is the most northerly of the Languedoc departments, and has a quite different flavour from the more Mediterranean areas. Less known to the tourist trail, this lovely department is a rural department with glorious countryside. There are three courses here at the time of writing, which are all very pleasant. Only one though is eighteen holes, with the others just nine holes long. The Golf des Gorges du Tarn (www.la-canourgue.com/equipements-sportifs/golf-des-gorges-du-tarn.html) is a technically demanding eighteen-hole course set in beautiful wooded countryside. It offers all the usual facilities, with a pro shop, equipment hire and sales, lessons, competitions, changing rooms and a clubhouse with a bar and restaurant. The two nine-hole courses are Golf de La Garde Guerin, Villefort (Villefort Property Guide), and Domain de Barres or Golf de Langogne. The Gard (Gard Property Guide), which is the department of the Languedoc closest to and most resembling Provence (Provence-Alpes-Côte d'Azur Property Guide), has a good choice of golf courses to discover. 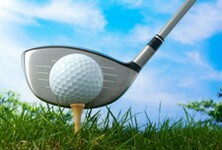 Two excellent eighteen-hole courses are supported by one nine-hole and one six-hole course. Golf de Nîmes Campagne (www.golfnimescampagne.fr.st/) is said to be one of France's most beautiful courses, and it is further endorsed in the European Golf magazine, who classify it as one of the six courses in the country at 5-star level. The club is open all year and has superb facilities. These include a restaurant, instruction and coaching for youngsters, practice areas for various elements of the game such as bunkers, putting and driving, a shop, equipment hire and even a swimming pool for cooling off after your round. The course itself (eighteen holes) is beautifully designed and enjoyable for all levels of players. Golf de Nîmes Vacquerolles - English is spoken here! The other eighteen-hole course in the department is the Golf de Nîmes Vacquerolles (www.golf-nimes.com/). Again, the course is good for all levels of players, is open all year round and offers lessons and training facilities. It also has the requisite bar and restaurant, equipment hire and changing rooms. English is spoken, which can be helpful for anyone who isn't totally confident in French! Why not try the friendly course at Ribaute les Tavernes? The two shorter courses are Golf Club d'Uzès (www.golfuzes.fr/), with nine holes, and Ribaute les Tavernes, which is small and friendly, with basic facilities and only six holes, but which is a lovely little course in a spectacular setting. Finally, but by no means an afterthought, is the lovely department of the Pyrénées-Orientales (Pyrénées-Orientales Property Guide). The department has a delightful stretch of Mediterranean coastline, with some of the prettiest bays and beaches in the south of France, and also the stunning Pyrénéan Mountains as a backdrop. The area has a distinctly different atmosphere and culture too, being close to Spain and staunchly Catalan. The department offers four courses. Domaine de Falgos - Languedoc's premier course? Also with a full eighteen-hole course is Domaine de Falgos (www.golf-falgos.com/uk/articles-1/71-54-la-reference-golf-en-languedoc-roussillon/), which lays claim to being "Languedoc's premier course". Certainly, the course is excellent, having a level of difficulty to challenge the most dedicated golfers while still offering an enjoyable experience for the less accomplished players, and the setting is simply glorious. This site lies in the Pyrénéan Mountains, close to the Spanish border and has views you will remember all your life. Once again, top of the range facilities are offered, with a driving range, pro shop, equipment sales and hire, tuition available and a pretty Catalan hotel on site where you can enjoy delicious meals, a swimming pool and spa treatments. The nine-hole courses are found at Font Romeu (Font Romeu Odeillo Via Property Guide), in the mountains, and Arboussols, Golf de Marcevol. The Languedoc is a dream destination for golfers, but also for non golfers. The region offers so much to do away from the course that you will be allowed to indulge your passion for the sport to your heart's content in the knowledge that the rest of the family, or party, are more than happily occupied enjoying the beaches, the historical sites, the culture (Festivals in France - celebrate the Languedoc-Roussillon way! ), gastronomy (Languedoc wine - to be savoured and enjoyed) and other sporting opportunities found all around the Languedoc. And all this under blue skies and golden sunshine, almost all year round!